If you opt not to create an orm.xml file when you create a JPA project, you can create one using the Create ORM Mapping File wizard. From the Navigator or Project Explorer, select File > New > Other. The Select a Wizard dialog appears. 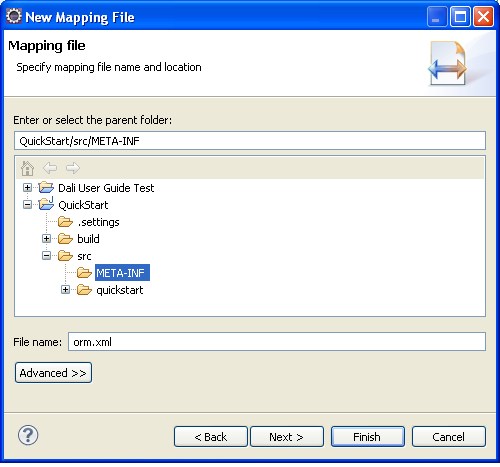 Select JPA ORM Mapping File and then click Next. 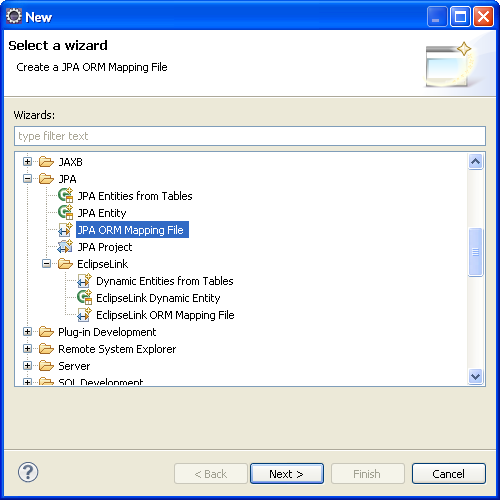 The Mapping File page of the Create ORM Mapping File wizard appears. If you are using EclipseLink, you can select EclipseLink > EclipseLink ORM Mapping File. Select the name and location of your mapping file and click Next. The Mapping File Options page appears. 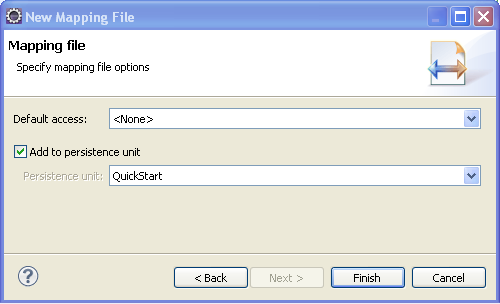 Define the properties in the Mapping File Options page and click Finish. The orm.xml file appears in the src directory of the selected JPA project. You can manage the orm.xml file using the JPA Details view or through the XML Editor. See also JPA Details view (for orm.xml).